A Privacy International report shows just how comprehensive the surveillance is. It’s no surprise that civil rights in Central Asia stand as something of a farce. The region, nearly a quarter of a century after gaining independence, retains much of its Soviet legacy of stanched media rights and desiccated political opposition. Despite fits and starts of democratization in Kyrgyzstan – which has seen a discernible turn toward a Russian-style clampdown in recent months – the region has remained tethered to its strongman politicking and truncated civil space. But while much of the efforts within the region to limit opposition press or quash political dissent have been relatively public, the ability of Central Asian regimes to monitor potential discord has been under-covered, especially in relation to analyses of Russia and China. A recent report from Privacy International, however, has tried to shine some light on the methods Central Asian governments are using to track their populaces – and to examine how closely they mirror Russian and Chinese examples, as well as which Western companies have supplied the necessary technology along the way. The report implicates a pair of Western organization surveillance organizations in aiding the regional surveillance: the U.S.-based Verint Systems, and the Israel-based NICE Systems. In Kazakhstan, both organizations have been contracted directly by the country’s intelligence agency. 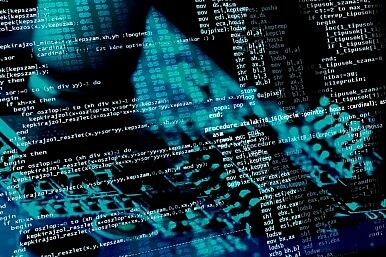 Verint has been aiding in monitoring centers “since the early 2000s,” and in a recent upgrade in 2012 to allow further IP access via “Deep Packet Inspection” techniques. The company also signed contracts directly with the country’s intelligence agency, meaning it is “subject to less rigorous oversight and regulation” in Kazakhstan than other contractors are. The same holds true for the work of both Verint and NICE in Uzbekistan – which also roped in an American company, Netronome, in order to “gain access to SSL-encrypted communications, such as those now offered by default” by Gmail and Facebook, among others. The surveillance methods used thus far in Central Asia have proven so widespread – in both perception and reality – that numerous “surveillance targets” in Turkmenistan were unwilling to speak to Privacy International about their experiences, even with the promise of anonymity. As such, according to human rights advocate Natalia Anurova, “very little communication is occurring by electronic means within Turkmenistan[. ]” And after the report, there seems little reason that trend will change. Does Kazakhstan Want to Spy on Internet Traffic? Astana might be gearing up to exert more control over the internet browsing of Kazakhs.